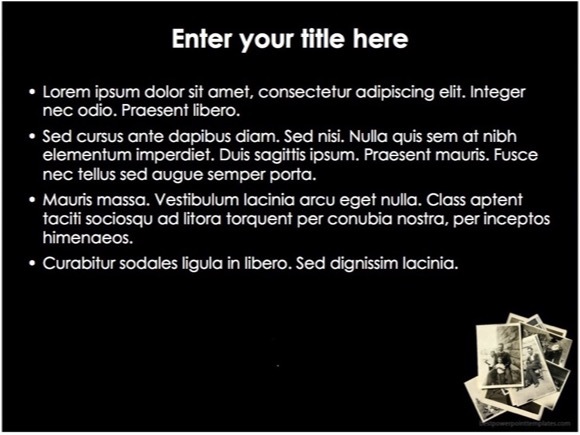 Photography PowerPoint template - FREE! 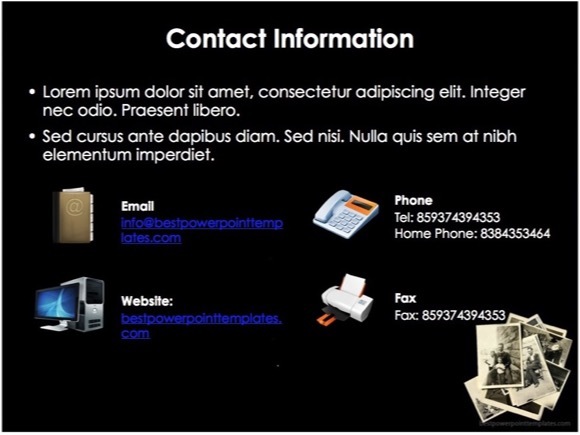 Photography PowerPoint template is perfect presentation for Photographers. 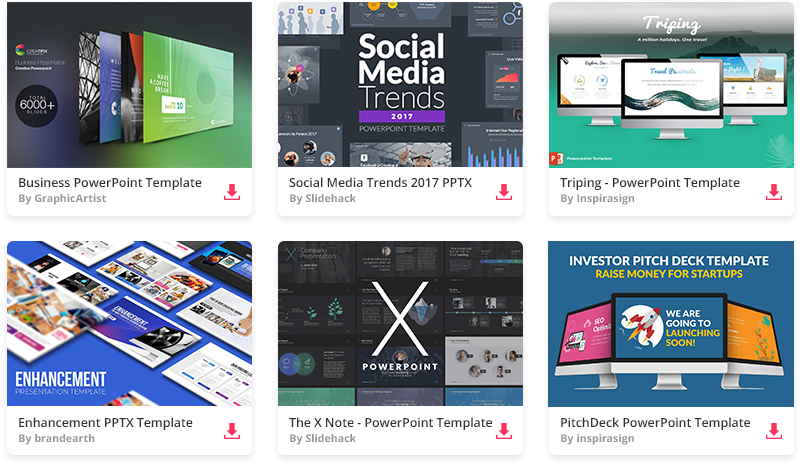 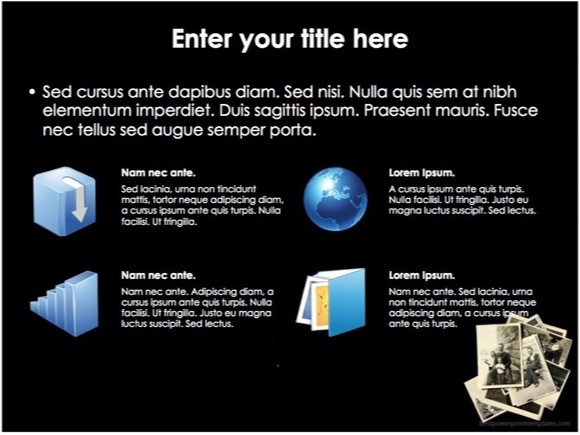 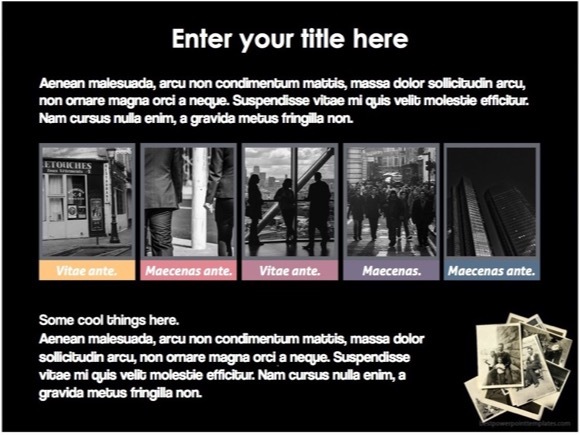 This free template may be useful in any PowerPoint related to Photography or when you want to create a photo album in PowerPoint presentation. 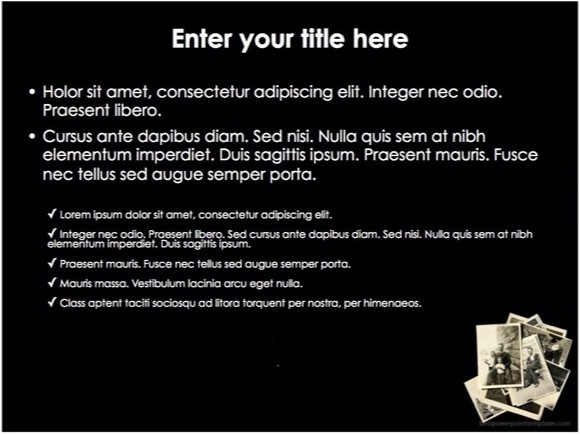 It uses a black background color, which will bring more focus to any text or graphics you put in. 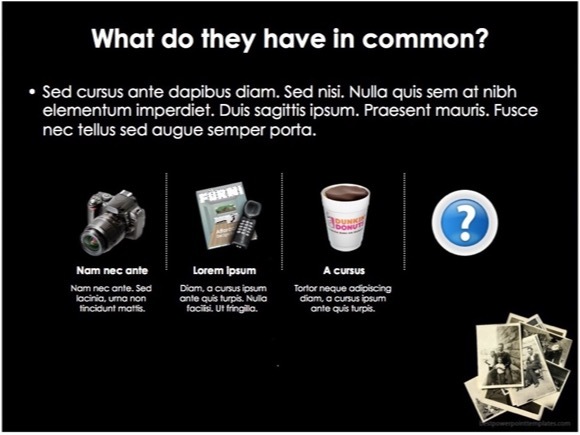 To become an expert in the field of photography, you need a lot of practice, because it is is not simply taking photos with your camera, photography is a big science of Art and Light. 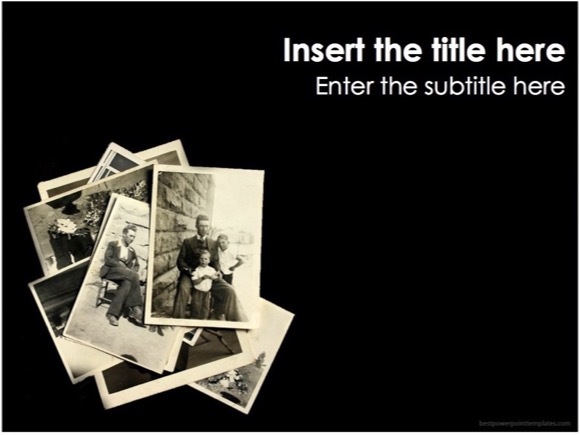 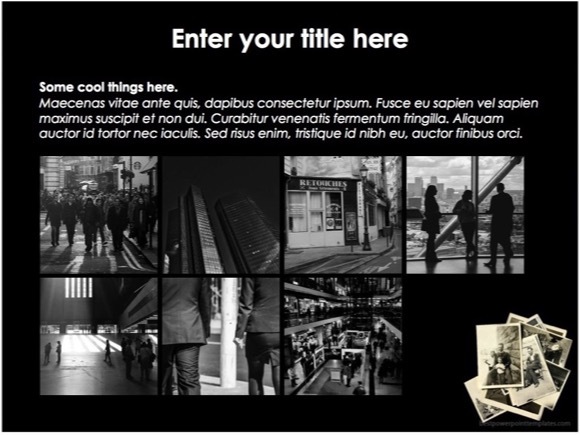 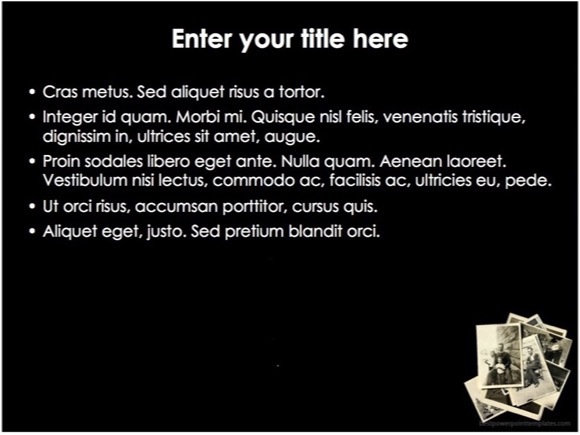 Enjoy this Photography PowerPoint template and use it for any PPT presentation. 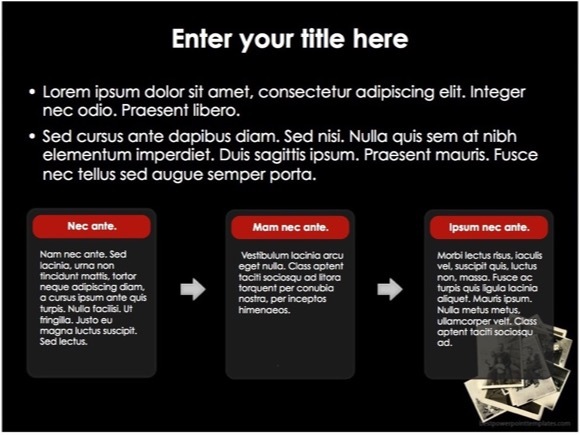 If you like this template, please support our site by sharing it below.